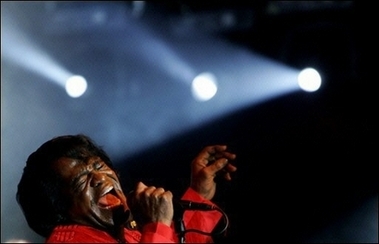 Tell him James Brown told you. So, Santa Claus, go straight to the ghetto. Santa Claus, go straight to the ghetto. Don't leave nothing for me. I have you. Can't you see? Santa Claus, the soul brothers need you. Haunting. Christmas in Heaven by James Brown.